The most popular type of visa for Vietnam is Vietnam tourist visa which is normally valid for 30 days. However, you can apply for 3 month visa or even 6 month, 1 year visa for tourism purpose at the moment; the procedure for these long term visas will be the same with 1 month visa. Vietnam tourist visa can be easily extended during your stay in Vietnam in a reliable travel agency. 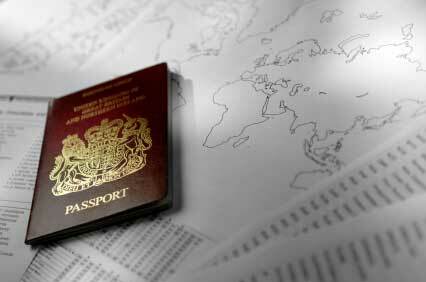 Find out more details about Visa Extension Service. The most convenient and cost-saving way to obtain Vietnam tourist visa is to apply Vietnam visa on arrival. All you need to do is to submit your details through our online application form and make a payment for service fee. After receiving your application, we will start to process your visa information and send an approval letter via email to you after 2 working days or less. This letter will allow you to pick up your visa stamp at one of Vietnam’s international airports (Noi Bai, Da Nang, Cam Ranh, Tan San Nhat). Note: The letter of approval is issued on a shared basis for all applicants who apply for Vietnam visa at the same time or same date of arrival based on the Immigration Department sole decision. For travelers who do not enjoy this common regulation and wish to have their own individual letters for security, please drop us a message via email or send us a special note during your visa application. 1. Print-out of your Visa Approval Letter. 4. Cash US$ to pay for the Visa Stamping Fee at Vietnam airport (25 USD – for 1 month/ 3 month single entry, 50 USD – for 1 month/ 3 month multiple entry , 95 USD – for 6 month multiple entry, 135 USD – for 1 year multiple entry).